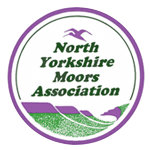 Campaigns & Projects NYMA is involved in campaigns and projects to protect and enhance the biodiversity and landscape of the North York Moors – some are listed below. Let us know if you’d like to get involved or have ideas for new projects! 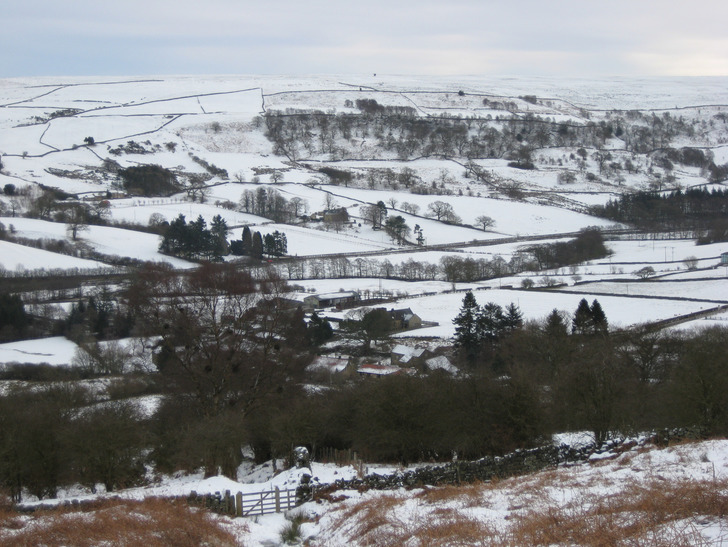 York Potash Ltd (YPL) was acquired by Sirius Minerals Plc in January 2011 after exploration indicated a significant reserve of polyhalite within the North York Moors National Park. Polyhalite is a compound mineral which includes potassium, sulphur, calcium and magnesium. Its principal use is as a crop fertiliser, and the major potential customers are overseas. National Parks should have the highest levels of landscape protection, and developments in these protected areas must have regard for their conservation and recreational purposes. NYMA and our partners at the Campaign for National Parks (CNP) campaigned against permission being given for the mine on the grounds that its presence is incompatible with the protected status of the landscape. Work on the mine (now called the Woodsmith Mine) is well under way, and our concerns include its industrial impact on the landscape, including visual and audible intrusion into the surrounding area. A decision on this application was deferred at the company’s request in July 2013 and the application was withdrawn in January 2014. For its second planning application, the company revised its scheme to include a 37 km. tunnel to transport the mineral to Teesside. After supplementary environmental information was submitted, a special planning meeting was held on June 30th 2015. At this stage, there was no recommendation by the National Park Planning Officers although a 230 page report to the Planning Committee made it clear that the proposed development was in conflict with both the local plan and national planning policy. Despite this, the application was approved by 8 votes to 7, the main reason being the economic benefit to the Whitby / Redcar / Teesside area in terms of job creation, local expenditure and the multiplier effect. The system of reaching a decision on major developments through the present planning system is influenced by the imbalance between public sector resources and the huge sums available to the applicant. Sirius Minerals has spent around £100 million to obtain the approvals it needed, while the NPA spent approximately one fifth of its annual budget of £5 million on examining thousands of pages of information in the period leading up to the decision. Small organisations like NYMA and CNP are clearly at even more of a disadvantage. In November 2016 the company announced that 'Phase 1' funding to construct the minehead and tunnel had been secured. In 2017 access roads were improved to take the increased traffic and construction of the access shafts began, with 24/7 site-working which entails continual flood-lighting. NYMA challenged the development from the outset when it became known that this was to be the largest mine in any European national park (and also the largest mine constructed in the UK for decades). We maintain that the polyhalite mine is inappropriate for a landscape which should have the highest level of protection. The decision is also of international significance, since if the special status of a protected area can be undermined in a country with high conservation awareness and regulations such as the UK, it sets a poor example for protected areas in countries with weaker regulatory frameworks and lower public support for the environment. We are supported by the Campaign for National Parks (CNP), which sees the project as a test case for possible developments in other national parks. In March 2015 NYMA (with the CNP, The National Trust, the Campaign for the Preservation of Rural England and the Yorkshire Wildlife Trust) requested that the planning application should be called-in for a public inquiry, as the only fair way of deciding such a complex issue and providing proper public access to information. However this was refused by the Secretary of State. From the start, Sirius Minerals embarked on a public relations exercise which has presented some significant misleading information. At a public meeting at Ravenscar the company stated that 130,000 cubic metres of spoil would be generated at the minehead site. By the time the application was submitted this had increased to 600,000 cubic metres, and after admitting errors it was further revised to 1.3 million cubic metres. It now stands at 1.9 million cubic metres. The volume and nature of the spoil highlights the alteration that will take place from a rural landscape to an industrial landscape. Some benefit will accrue to the National Park from the mine under a 'Section 106' agreement for Sirius Minerals to address the cost of environmental mitigation of the damage caused, and the National Park Authority is monitoring the impact on the environment and on the locally important tourism industry. A positive outcome of the mine is that Sirius Minerals has established and endowed the Sirius Minerals Foundation, a registered charity which donates funds to a range of organisations and projects across the area affected by the mine. The project consists of the minehead development, the Mineral Transport System, the tunnel and conveyor with an access shaft at Lockwood Beck, the Materials Handling Facility at Wilton Teesside and the Harbour Facility at Bran Sands, Teesside. In December a Section 73 planning application was considered at a meeting of the National Park's Planning Committee (a Section 73 application makes 'minor' amendments to original conditions agreed under a planning application). NYMA made a statement at the meeting contending that this application cannot be called a ‘minor material change’: the increase of the Materials Shaft Housing Building by 3 times its original size as well as the reconfiguration of additional buildings is more than a minor amendment. The Materials Shaft Housing Building now being proposed in this application is 4,231 square metres. In total the reorganised buildings at Doves Nest Farm would occupy over 12,000 square metres, or 1.25 acres. The minehead site is already a prominent feature of the landscape, while at night the site resembles a floodlit football ground. The decision by Sirius minerals to exclude from their plans the MTS tunnel access shaft at Egton means that the tunnel drive from the minehead will extend to Lockwood Beck and as a consequence an additional 255,000 cubic metres of spoil in the form of pyritic mudstone will need to be accommodated at the minehead site. No provision for this is indicated in this planning application. It will nevertheless require changes to the land forms shown in this current application. For this reason, NYMA requested that the application be refused or at least a decision deferred until there is clarity about the additional spoil which will have to be dealt with. However, the Planning Officer recommended that the change was approved by Planning Committee members and it was duly passed. Conventional extraction of gas within the North York Moors National Park was first carried out in the 1960s at Lockton. Since then there has been considerable exploration in the Vale of Pickering and in Westerdale. 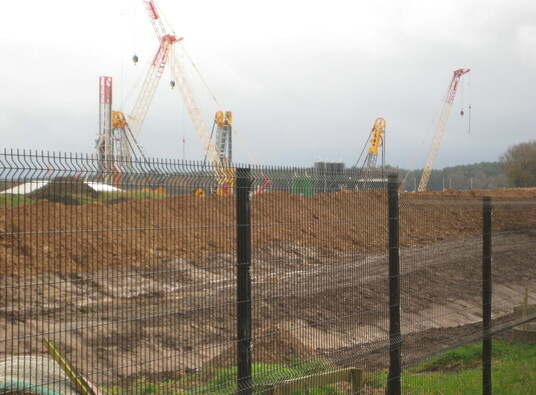 In April 2010 an application for a major development was submitted by Moorland Energy Ltd for gas extraction at Ebberston Moor, including a pipeline and a gas processing facility on the edge of the National Park at Thornton-le-Dale. This was to be in open farmland 10 metres outside the National Park boundary. NYMA objected to this application and gave evidence for objectors at the subsequent public inquiry in October 2011. However, the Planning Inspector recommended that the application be approved and the Secretary of State agreed with this recommendation. 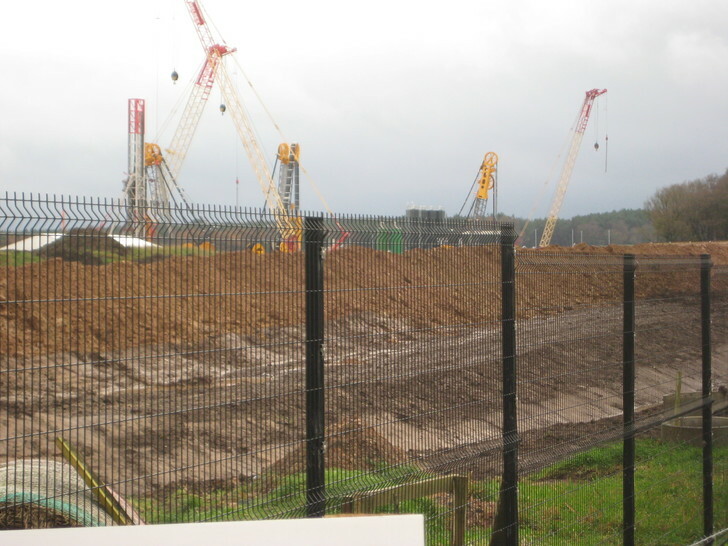 After Moorland Energy failed to start the development it was taken over by Third Energy UK Ltd. They scrapped plans for the gas processing facility, instead proposing to pipe the gas directly to the Knapton gas generating station. There is continuing interest in gas exploration within and outside the National Park and Third Energy UK Ltd have turned their attention to gas extraction by hydraulic fracturing (‘fracking’). Approval was given in May 2016 by North Yorkshire County Council for test fracking at a well near Kirkby Misperton. NYMA supports the National Park Authority in its opposition to hydraulic fracturing in or under national parks. The government has said that surface structures associated with fracking are to be excluded from National Parks and AONBs but it will allow fracking to take place under these protected areas below a depth of 1200m. In response to a government consultation on fracking, with regard to surface structures, NYMA has asked for an exclusion area to extend outside the National Park boundary to protect the setting of the protected landscape area. We are monitoring developments in this area closely. 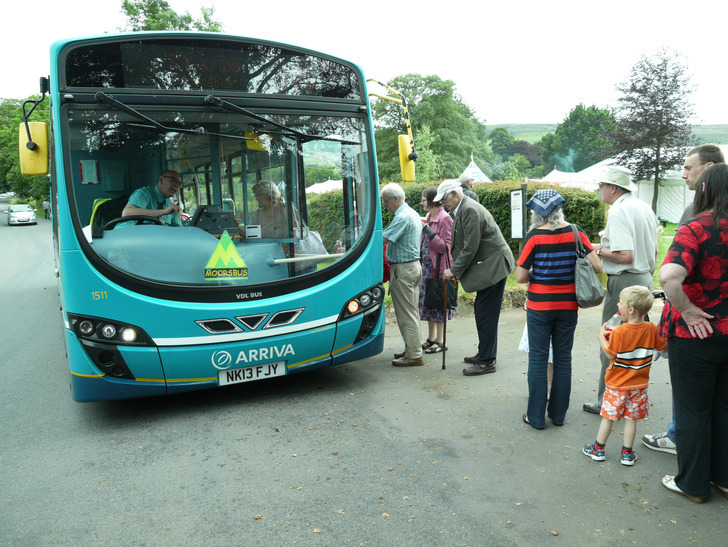 NYMA makes a significant financial and managerial contribution to the operation of MoorsBus during the summer months. The service makes the National Park accessible to non-car owners and to people wishing to leave their car at home. Running Fridays-Sundays and Bank Holiday Mondays through the summer months, the services link towns and cities (including York, Malton, Saltburn, Middlesborough, Darlington, Guisborough) to key places within the park. In 2010 (our 25th anniversary year) a plaque was installed at the National Park's Moors Centre in Danby on the site of a Copper Beech tree which had to be felled 3 years previously. The tree was estimated at over 200 years old, and the metal plaque is inscribed with some of the key events which took place during its life-span. In 2018 NYMA has published a book and educational materials to accompany it. The book expands on the often quirky local events and personalities noted on the plaque, as well as national and international events with local resonance. It acts as an 'in-depth' guide-book to the national park, offering fascinating insights into its history and culture. We are very grateful for support for the project from the Heritage Lottery Fund and from the David Ross Foundation through the Land of Iron Project. As a contribution to the 2010 International Year of Biodiversity (and to mark our 25th anniversary), NYMA was given permission to improve biodiversity on a 1-acre plot of land close to Park Wood, Danby. Regular voluntary work includes fencing, planting trees and clearing bracken. For instance in March 2018 we discovered that sheep had broken through the fencing from the surrounding moor, so we had to repair that before we could do any more planting, and we then carried out further planting of trees and clearance of undergrowth. The plot includes a small area of Juniper trees planted under the Juniper Regeneration Project. NYMA is one of the lead organisations in the Cornfield Flowers project, which conserves and encourages the wildflowers of arable fields. These plants were a common sight in our rural landscape for hundreds of years, but due to intensification of farming practices since the 1940s many have become rare or even extinct. The Cornfield Flowers Project was initiated in 2000 to help reverse this loss in north-east Yorkshire. Working alongside local farmers and with the support of volunteer horticulturalists, naturalists, schools and other enthusiasts, this project has propagated seed and reintroduced new plants into protected farm fields. Now operating with more limited funding, the project is hosted by the Ryedale Folk Museum at Hutton-le-Hole. Click here for more info. This was a joint venture with the North York Moors National Park involving primary and secondary schools (2002-2012). Juniper trees within the Park were found to have reduced to about a dozen old trees with no new trees naturally propagated, due principally to sheep grazing and heather burning. The programme propagated new trees from Juniper berries collected by school-children, with seedlings planted out across the Park by school parties.